What leaders say about World peace and what we understand. “The real differences around the world today are not between Jews and Arabs; Protestants and Catholics; Muslims, Croats, and Serbs. The real differences are between those who embrace peace and those who would destroy it; between those who look to the future and those who cling to the past; between those who open their arms and those who are determined to clench their fists. ~William J. Clinton. Lives and legends of great men and women have left a lasting impact on our lives. They may differ in the way they provide a navigation towards the justification of their practice but all of them teach us one common thing- that together, we can strive towards the creation of a better world. Those people and their methods may differ but they were in line with their goals of bringing about a healthier, safer and peaceful environment for the future generations. Many intellectuals of the world have voiced their views in regard to World peace till now. In my belief, there has been none greater than the man who put it as plainly as it could be put- “An eye for an eye makes the whole world blind”- Mahatma Gandhi. The Mahatma who taught the world its greatest lesson in peace has left behind an all potent solution to achieving it. The concepts of Truth and Ahimsa preached by him stand strong till date. Mahatma Gandhi believed that there was no other God than Truth, and that the only means for realization of Truth was Ahimsa. 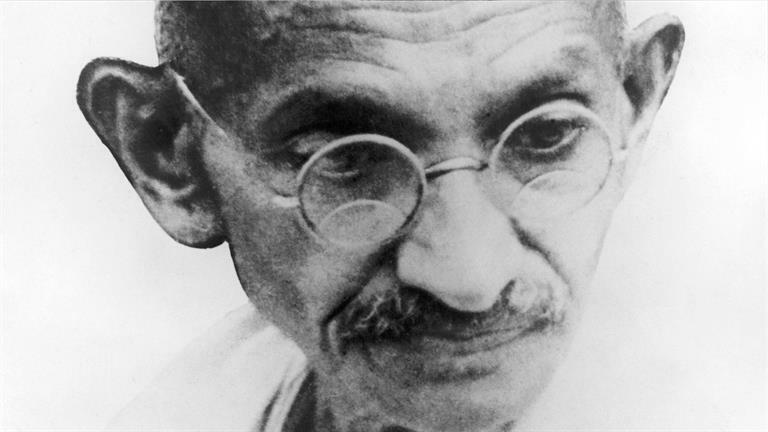 The Mahatma always defined a strong line between non-violence and a fight for rights. On the contrary, it goes without saying that the Mahatma used the same weapon to fight the greatest war of Indian history! The world perspective towards non-violence and how it is such a prodigious solution to the quest of world peace is a thus a worthy example to the argument that peace can be won without waging wars. Peace is not simply the absence of violence, but rather a dynamic state of self-inquiry, relationship building and mindfulness. Peace does not mean running from conflicts but rather bringing consciousness to the moment when conflict takes place. Peace is participating in a process of conflict transformation which has been taught and reinforced through the education system. Thus there is a lesson to be learnt from all peace thinkers and motivate us, inspire us to be a part of this quest. What we can take away from all that they have taught us does not really lie in those marvelous quotes that we use to frame creative writings and to fill pauses in speech-making. They are just lines we would remember easily so as to gauge the essence of their meaning. It is this essence that we need to inculcate in every small thing we do in life. People tend to talk about big things when it comes to inspiration and end up doing nothing actually. Small things done with the right teachings in mind are the ones that will really bring change in the world.